Three part series on how to find, attract, hire, and retain high quality veteran talent for your company or organization. Attracting military talent can be an overwhelming task, especially for those organizations that do not understand military culture, but attracting military talent is only part of the puzzle. The second piece is the military veteran hiring process. Here are four things to think about when hiring veterans. Often, military resumes can be confusing and too easily dismissed by recruiters and hiring managers. So what exactly is a Yeoman or a Boatswain Mate in the Navy? What does an Air Battle Manager in the Air Force do? 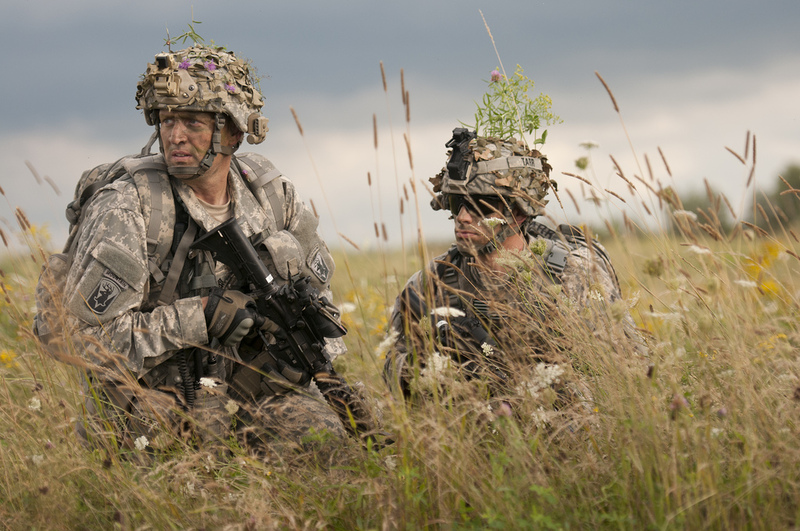 How do the skills of an Army Infantryman translate into civilian skills? What does a Marine Corps Basic Field Artilleryman bring to the table? Veterans from each branch of service will be given a job specialty and in some cases, more than one job specialty. Many of these jobs transfer directly to civilian occupations, such as a human resource specialist or a lab technician. Some other military specialties may not. The bottom line here is that these are merely the jobs that the service member went to school to learn, and do not paint the whole picture of the intangible skills a veteran possesses. Let’s go back to the Army Infantryman, for example, and break down a typical career. While it’s true, an infantryman might not be a direct fit for a specific job in your organization, many of the skills and education he receives over the course of a career are invaluable. Sometimes we need to look beyond titles. A senior infantryman, over his career, has led hundreds of people in the most demanding and chaotic of situations imaginable. This person most likely completed a special duty assignment as a recruiter, drill sergeant, or instructor. He might have performed career enhancing positions such as an equal opportunity advisor, doctrine writer, or advisor to a foreign military. He may have even completed congressional fellowships and been assigned to Capitol Hill, or might have even worked on a Commanding General’s staff. He has attended dozens of professional military education courses or even cross trained into other military specialties. He most likely has a graduate degree. So as you can see, an infantryman at face value might not be a good fit, but when you peel back his various assignments and accomplishments, it’s clear that the individual is bringing a lot to the table. Instead of filing military resumes into the trash, take the time to look at them and truly understand what it means to serve our great nation. Don’t dismiss applicants simply because they are veterans; embrace their service, support our troops, and schedule them for an interview. Now that we have tackled the screening process, let’s move into the interview. I am sure, at this point, the resume has generated more questions than answers, and that is perfectly acceptable. After all, that’s what the interview is all about. Perhaps the best way for an interviewer to understand what a veteran did while in the military is to use a technique called behavioral event interviewing. This technique asks the candidate to describe situations and experiences they had while in the service. The answers to these questions cannot be rehearsed ahead of time and allows the veteran to open up about their military experience. Their answers will also help the interviewer find how their experiences and background will fit into the culture of the organization. Tell me about a time in the Air Force where you really stepped up to a challenge, offered an innovative solution, or took a high risk that paid off. Tell me about a project or task in the Navy where you found yourself having to react to a major unexpected obstacle or change. What was the situation and what did you do? Tell me about a time in the Marine Corps you worked on a project where a very diverse group of people were brought together to achieve a common goal. I see on your resume, you attended the Army’s Warrior Leader Course. What did you take away from that training and how does it apply to this organization? Your resume stated you were a Platoon Sergeant in the Marine Corps. What exactly is a Platoon Sergeant? What additional military training and experience do you have, that would make you a good fit for our organization? The Forward March Inc Military Talent Hiring Guide can be customized for your organization. The primary means of verifying an applicant’s veteran status is by viewing the Department of Defense Form 214, or DD 214, as is it commonly called. The DD 214 is basically a one page document that covers a service member’s entire career. It includes information such as their rank, military specialty, awards, schools attended, periods of service, and type of discharge. Since the DD 214 is filled with all sorts of codes, and phrases, this single document is a great source for interview questions. When a service member is separated from the military, they are given two copies of the DD 214: a long version, or Member Copy, and a short form. The long form has specific information in regard to the type of discharge the veteran was given. Employers can ask for copies of the DD 214 as a means of verifying prior service. Be cautious of how your hiring managers use the information as it could become an EO issue. The Equal Employment Opportunity Commission, the Office of Federal Contract Compliance Programs, the Veteran’s Administration, and the Department of Labor are all on the same page when it comes to asking for the DD 214. Asking a veteran, “Did you receive an Honorable or General Discharge?” is fine. Asking the reason for discharge, however, can pose a problem. Suppose a veteran received an honorable discharge but was separated for a medical reason. Asking why that veteran was discharged would force them to expose a medical condition, which in turn could lead to discrimination in hiring. If the veteran applicant served in the National Guard, he or she will be given a similar form as the DD 214 called the National Guard Bureau Form 22 or NGB 22. We can get you on the fast track to developing a Veteran Talent Pipeline. November 17th, San Antonio, Texas. For companies that are committed to hiring veterans, not only are they getting top talent that is motivated, well-educated, and full of leadership potential, but there are many other incentives. Companies that hire veterans receive tax breaks, have employees with educational benefits, and see reduced manpower costs. Here are some key protocols in regard to veteran hiring. Vietnam Era Veteran’s Readjustment Assistance Act of 1974 (VEVRAA) prohibits discrimination against veterans and requires federal contractors and subcontractors to take affirmative action to employ veterans. 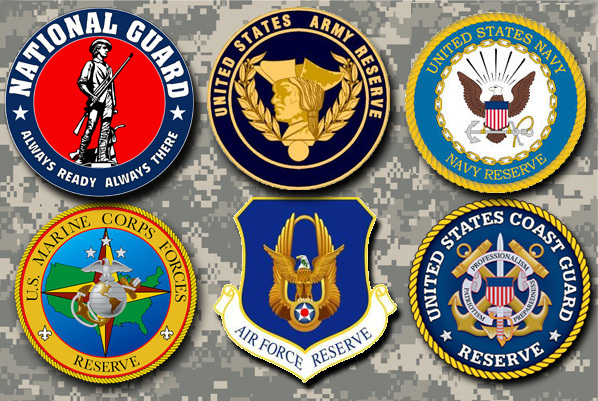 Uniformed Services Employment and Reemployment Rights Act (USERRA) protects the jobs of guard and reserve members called to active duty. Veterans Opportunity to Work to Hire Heroes Act of 2011 (VOW Act) provides tax credits to companies that hire unemployed and wounded veterans. Americans with Disabilities Act (ADA) establishes nondiscrimination practices for the employment of people with disabilities to include disabled veterans. Office of Federal Contract Compliance Programs (OFCCP) enforces, for the benefit of job seekers and wage earners, the contractual promise of affirmative action and equal employment opportunity required of those who do business with the Federal government. Finding, attracting, hiring, and retaining military talent is a skill that companies looking for the highest caliber employees simply must have. Forward March not only trains top companies to do this, but we have also created a Military Talent Hiring Guide that teaches organizations the basics of military talent acquisition and retention. If your organization is truly dedicated to hiring veterans, leave it to FMI to help make it happen. Click here and take the next step by attending out upcoming Camouflage to Corporate event and gain the skills needed to achieve your veteran hiring goals. Did you know that Forward March Inc also has conducts Hiring 101 Events which will give you the information and tools you need to succeed in hiring the very best military candidates. Our highly successful solutions are based on the proven military leadership models and a systematic approach to organizational growth. Learn more here. 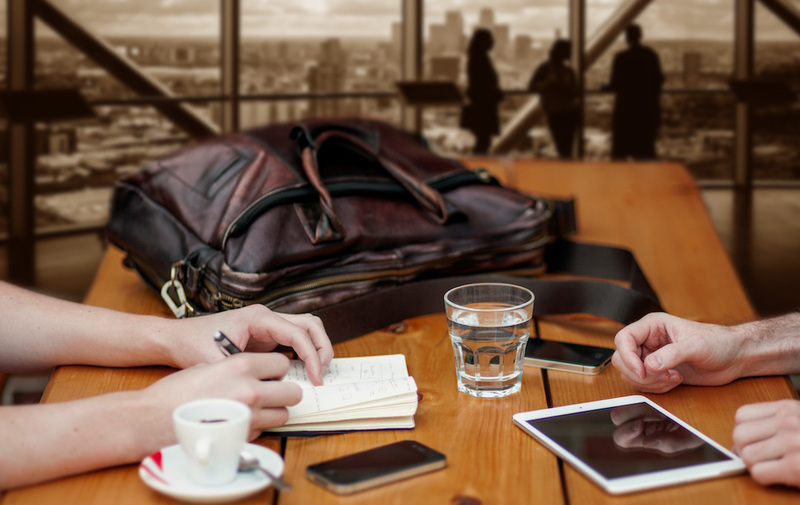 So you’re looking for the perfect candidate to fill critical positions within your organization. You’re looking for someone who is hardworking, well-educated and an expert planner. You’re looking for someone who has a “mission first” attitude and has a proven ability to face adversity with positive outcomes. You have in mind a candidate that understands and practices diversity in the workplace and who has a respect for policies, procedures, and regulations. You ask yourself, does this perfect candidate even exist? The answer is a resounding YES! The perfect candidate is the American military veteran. So now that you have identified who the perfect candidate is, the next question is how to find them? Drawing military and veteran talent starts with developing a military hiring strategy. Here are five practices to help your organization attract veterans. Develop a solid military recruiting strategy. Developing a strategy begins with the company’s vision. This should be a top down driven initiative with specific, measurable, and achievable goals that the entire organization understands. Once a plan is made, recruiters and hiring managers must then be trained and resourced to execute the plan. Furthermore, performance reviews should be tied to veteran hiring performance to ensure continued success. Leverage existing veteran employees. What better way to attract veterans than engaging current employees who have served. They have not only talked the talk, they have walked the walk. They understand the military transition process and can assist in military skills interpretation and veteran interviewing. The bottom line is this: a brother and sisterhood exists within the veteran population. Veterans who believe in their organization want to share it with others. Market your organization as the veteran employer of choice. Building your organization’s brand as a veteran friendly company is key to military hiring success. Part of this branding is leveraging current veteran employees and telling their success stories within the company. 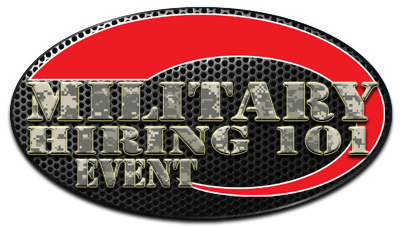 Create military specific brochures and other military marketing collateral when attending military hiring functions and use veteran employees as recruiters at such events. Create a veteran hiring site on your company webpage. Send veteran applicants a separate email thanking them for their service when they apply. Make veterans feel welcomed before they even step foot in your company. Get engaged with the military community. In order to find the veteran employee population, your organization must be engaged in the veteran community. Establish partnerships with non-profit veteran organizations such as the American Legion or Veterans of Foreign Wars. Get to know people at local military transition centers and make routine visits to reach out to those leaving military service. Establish relationships with local National Guard and Reserve units. Encourage employees to get involved with volunteer programs supporting veterans. Don’t forget about military spouses. When developing a veteran recruiting and hiring strategy, do not forget about the military spouse. Although they do not wear the uniform, they possess many skills employers are looking for. Just like the service member, the military spouse is flexible, adaptive to change, conscious of cultural and regional differences, and focused on getting the job done. Attracting military talent can be an overwhelming task, especially for those organizations that do not understand military culture. Forward March’s team has over 110 years of combined military experience with over 35 years dedicated specifically to hiring veterans. FMI can train your staff to attract, hire, and retain top military talent. We have a comprehensive Military Talent Hiring Guide and outstanding training that can get your department staffing positions very quickly. We can also help you to develop a pipeline and hiring strategy for success and train your human resource department on all the best ways to recruit military talent. 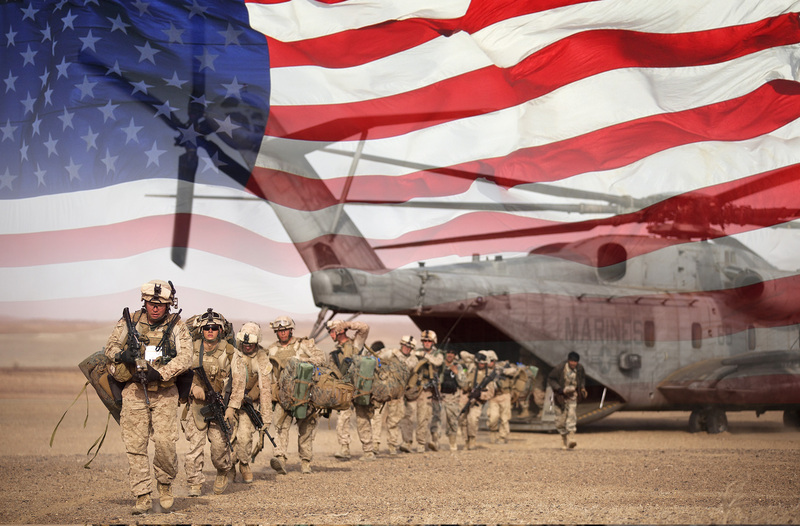 If your company is committed to hiring military veterans, let FMI show you how.